Nestled in the quiet area of Costa Teguise, the Hotel Beatriz Costa & Spa is in a prime location and sits right opposite one of the best beaches in Lanzarote, making it a top choice for beach holidays in the sun. There are splendid gardens (featuring typical Canarian vegetation), lakes and waterfalls that flow elegantly through the interior of this spa hotel in Lanzarote, providing guests with an enchanting setting. Hotel Beatriz Costa & Spa’s gastronomic commitment shines thanks to its quality restaurants, including the Buffet Restaurant, Las Falapas Pool Restaurant and Themed Restaurant – plus popular Piano and Entertainment bar on offer, too. 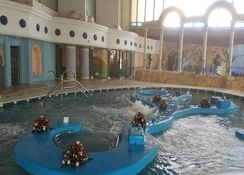 For guests looking to unwind, the spa centre makes for a great pastime, where traditional Roman baths, hydrothermal areas and massage pools are available to use. Whether you’re planning a summer holiday or want a winter retreat to look forward to, our great-value deals and last minute offerings mean you can visit this sunny isle all-year-round – why wait any longer? 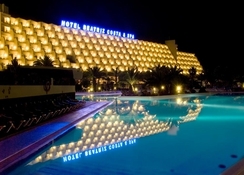 Hotel Beatriz Costa & Spa is located in the Canarian Archipelago. What makes it the best spa hotel in Lanzarote is that you have the quiet and peaceful location of Costa Teguise to relax in, with a selection of resorts and attractions nearby. 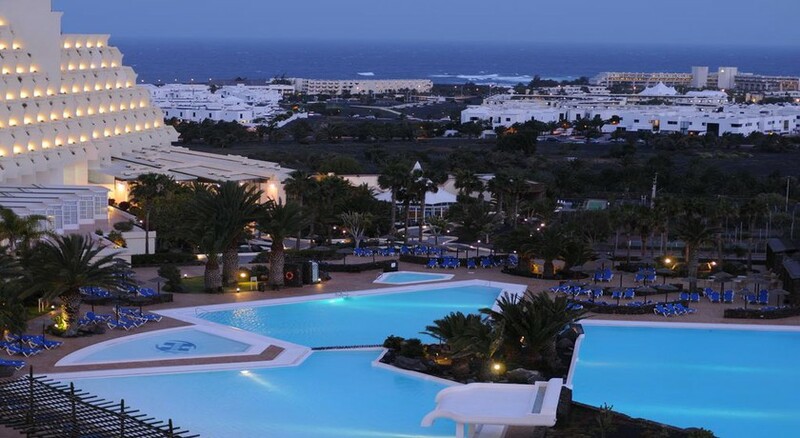 The hotel is approximately 9km from Arrecife, 5km from the Costa Teguise Golf Club and 16km from Lanzarote Airport. Lanzarote is different from other islands due to its lengthy volcanic eruption in the 18th century, which transformed the island and its landscape, making it one of the most visited islands in the region by tourists every year. 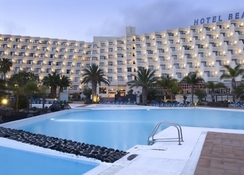 Hotel Beatriz Costa & Spa in Lanzarote features 346 air-conditioned rooms divided into categories including Standard Double Room, Junior Suite Room and Double Room Individual Use. All of the rooms have a large terrace, where guests can enjoy marvellous views of the swimming pools and the gardens. They also feature a full bathroom and all the necessary amenities including a telephone, hairdryer, satellite TV, fridge and more. 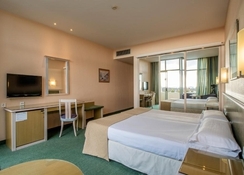 If you’re travelling as a large group or with family, connecting rooms are also available on request. Room service and laundry service is available from 08:00am - 22:00pm. There are three different restaurants and bars that serve varied National, International and Canarian cuisine. The Buffet Restaurant offers different menus each day, which is available to enjoy for breakfast and dinner. The Pool Restaurant, Las Falapas, caters to those in the garden and pool area - it boasts African-inspired architecture with stone structures and high thatched roofs. A buffet service is available during the day and the pool restaurant also offers a wide array of sandwiches, light and mixed dishes. The hotel offers a plethora of sports and entertainment to its guests, including two swimming pools, a Jacuzzi, sauna, gym, archery, three tennis courts and mini golf. The Beatriz Costa & Spa is only one mile away from the Costa Teguise Golf Club, too. Little ones will be entertained from morning until night, as there is a Cute Kids Club offering indoor and outdoor activities. The hotel’s entertainment program is sure to keep guests happy, with activities to take part in throughout the day, and fantastic shows to enjoy in the evening. We stayed here for Christmas and had a very enjoyable time. The staff were all very friendly. The facilities were great and being able to use the spa everyday was a real treat. Food was fantastic and overall we had a very pleasant stay. Really good hotel for families. Lots of entertainment for children. Fantastic food - amazing for dietary requirements. Lovely swimming pools. Rooms large but slightly dated. We went in May for 4 days, weather was a bit disappointing . Never seen a hotel so big it was lovely. The 3 virtual pools were lovely to look at didn’t go in it was too cold. Food was lovely. We did not read our half board leaflet, on the first night at dinner I had when not realising we had to pay, one of the staff member tried to embarrass us by shouting you have to pay, wine is only free for all inclusive customers only, we offered to pay , but she said ok tonight but remember for next time, the hotel manager was doing her rounds, we informed her of what happened, it’s not like we’re trying to get out of paying. She was loverly and apologised if the staff member was abrupt with us. She was a lovely lady. Rooms were nice and clean and very roomy and also a roomy balcony. Bit of a trek to the strip, where it was much more warmer. We thoroughly enjoyed our 4 days.. only downfall no iron in the rooms you have to pay 6 euros at reception and a company will bring it in and when you leave and return iron you get your 6 euros back. Lovely hotel. Brilliant hotel and spa facility. Only negative for me was the distance from the beach and the town but a bus service is provided. It was a nice hotel, food was good, but the decor needs a refurbishment as it looks a bit dated. We stayed for a week in the summer, hotel could do with some updating but it was clean and the facilities were good. The food was excellent with fresh meat, salads and fish. The spa pools were excellent. It's about a 15 minute walk into town which is nice and has some good restaurants and nice beaches. All in all good value for money.